When researching and choosing the best golf school for you there are questions that we recommend asking your prospective golf pro and trainer, prior to selecting them. Below you will find a list of 12 questions to ask to get the best golf school. Do your Golf Instructors work full time for your company? This is the first question you should ask because more than 50% of Golf Schools do not have full time Instructors. They use subcontractors on a part time, as needed basis. Thus the quality of Instructor you receive will be very inconsistent, even though you may be told that their Instructor works full time for their Golf School. Our suggestion: You should ask for the Instructor’s name to do a search on Google. You will often find that Instructor works for multiple Golf Schools on a part time basis, along with working as an Assistant Pro at a course with other duties besides teaching Golf Schools. Although we will not mention the names of these Golf Schools, they often have the lowest prices as they do not invest in quality Instructors. Do you teach a pre-determined or ‘one-size fits all’ swing? Most Golf Instructors will not admit it, but they only teach one type of golf swing. Thus each person the Instructor teaches will learn the same golf swing regardless of your ability level, the amount of practice time you have and/or your physical abilities. The golf swing you learn should not be limited to only the golf swing that Instructor teaches. Our suggestion: Yes, many Golf Schools will say they help you to find your golf swing, however ask them to explain how they do that. You will probably hear a lot of “ums” as they will be hard pressed to give you an answer because they do not have a program in place to allow each Golfer to learn their swing. It’s very easy for them to advertise their expertise, it’s very difficult for them to back it up. Have them explain their process of helping you find your golf swing. Who specifically, will be my Instructor and what are his/her credentials? Yes, being a member of the PGA is important. 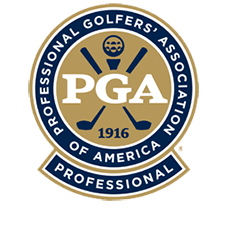 However, there are 26,000 PGA Professionals, and to say that every PGA Professional is just as good an Instructor as every other PGA Professional is not even close to the truth. One way to find out the quality of an Instructor or Golf School is to find out how many Golfers they work with each year as that is directly influenced by referrals from Golfers that have improved. The GMS Instructor has a class 6 days a week for 50 weeks of the year with Golfers that travel from around the world to see us. We’re a popular program because our Golfers improve, and other Golfers notice that improvement, so they sign-up to for GMS. Will I have the same Instructor the entire time? To switch from Instructor to Instructor is like calling the phone company and getting transferred from one agent to the next. You spend more time repeating your story than you spend getting your issues resolved. The same holds true when getting passed from Instructor to Instructor. At GMS you’re with your same Instructor the entire 3 days! Many Golf Schools offer a 4 to 1 Student to Instructor ratio. However, what isn’t noted is whether the other Golfers with you are of a similar skill level. This is important if you’re an experienced Golfer scoring around 85 and you’re put into a group with a Golfer that is scoring 105 (or a Golfer scoring 105 is placed with a newcomer). Our suggestion: You need to ask whether the Golf School groups their classes according to skill level. The only time GMS has a mixed skill level group is when it’s requested by a husband and wife, or friends or family that want to be together. Other than that, we’re very, very strict in making sure each Golfer is of a similar skill level! Do you provide your Golf Instructors with additional training besides their PGA training? As more than 50% of Golf Schools use part time, subcontracting Instructors, these Golf Schools do not offer any training. All they do is call a golf course to ask the Pro whether they would like to make a couple extra dollars and teach a class for that Golf School whenever someone signs up. If the Pro says “yes” – then that Pro will teach for that Golf School in between running tournaments, working at the cash register, merchandising, etc. Our suggestion: If someone says there is training, we encourage you to ask “can you tell me about the training program the Instructor goes through before starting to work with you, as well as the training they receive throughout the year?” Remember, it is important to have a PGA Member as your Instructor, however, that is not enough to guarantee that Instructor will help you improve. Will there be a dynamic plan that addresses my game and goals? Most Golf Schools teach every person they meet the same golf swing. They tell each person that their grip needs to look like this and their back-swing needs to look like that. Thus, the Golfers attending those Golf Schools will struggle and probably start hitting the golf ball worse because what they’re learning isn’t correct for them, it’s just what that Golf School teaches. GMS believes that each Golfer is different, and although we have a base schedule, we design a PLAN for each individual Golfer based on reading your Registration Evaluation before you arrive. In addition to your Registration Evaluation, we’re constantly talking with you during your GMS Program to adjust your PLAN, as well as going over what we accomplished each day during your Chalk Talk session with your Instructor. Is there any follow-up or continuing education? Once you complete your 3 days, now what? What happens if you forget something you learned? Or 6 months later you fall back into an old, bad habit? Are you left to figure it out yourself? Or is there a program in place that allows you to contact the Golf School to help you? We believe open communication it’s as valuable as oxygen. Even the PGA Tour Player will “hit a bump in the road once in a while.” When they do, they contact their coach to fix it. So if the best Players in the world are going to hit that bump, you probably will also. The key is, how are you going to get past that bump? GMS has our Instructor For Life (IFL) Program which includes our Player Page (with all our drills and lessons), as well as the ability to send email questions to IFL and schedule Telephone Lessons with us. Do you believe in the philosophy that “I will get worse before I get better”? If anyone ever uses this phrase when talking about Golf Instruction, you should instantly cross them off your list. The smart Golfer should avoid that Golf School (or Instructor) because getting worse before getting better makes no sense. If the quality of Instruction is of the highest level, the Golfer should start getting better with the first bit of Instruction. If you’re not getting better right away, your Instructor and his/her plan for you is incorrect for your game. This goes directly back to question #2 above. Our suggestion: Ask them whether they think you’re going to get worse before you get better. Unfortunately, they will probably say “yes”. Golfers coming to GMS will see improvement in the first 15 minutes of Day One. And that improvement will continue throughout your 3 days. Do you include On-course Instruction each day of the program? On-course Instruction needs to follow the practice range Instruction each day. Most Golfers can hit the golf ball better on the driving range versus the golf course. Why can’t most Golfers bring their range swing on to the golf course? It probably has a lot to do with the Instruction you receive and the practice habits you use have nothing to do with taking your golf swing to the golf course. When the driving range practice is taught using a ‘practice like you play’ method and is then combined with superior On-course Instruction, you will see significant improvement. Do not leave this valuable time off your checklist! Why will your teaching methods stay with me? Many Golfers that have attended lower cost Golf Schools typically see very little improvement during their Golf School, but more importantly, they often see their game get worse when they get home. Why? Because they do not have a PLAN that is based on the “causes and effects” of their golf swing. These less talented Instructors only are trained to look for the “effects” of the bad golf swing, not finding the root “causes”. Thus, if the “cause” isn’t corrected, the bad golf swing will continually come back when you aren’t standing next to your Instructor. Our suggestion: Ask about the teaching methods they use to find the strengths and weaknesses of your golf swing, you might find that they don’t have any teaching methods even though they were advertising they do. That goes back to question #6 above as most Golf Schools don’t have any idea what their part time Instructors are teaching. Will you teach me how to practice better? There is a good way to practice and there is a bad way to practice. Most Golfers believe that going to driving range and hitting golf balls is practice. That is not practice, that is recreation. Practice goes well beyond hitting golf balls. Though most Golf Schools and Instructors never talk about how to practice, they just try to give you swing tips, so you go back home doing the same thing you’ve always done. Thus you instantly slip back into your old, bad golf swing habits. Our suggestion: Ask them whether they use the technique of ‘practicing like you play’. If they say “yes”, ask them to explain how their program is set-up to have you ‘practicing like you play’. At GMS, we train our Golfers by teaching you how to practice, and that goes beyond just knowing the drills you need to work on. Having a Practice PLAN allows you to see continued improvement on the golf course, beating golf balls on the driving range allows you to see continued frustration. Learning how to practice is just as important as knowing what to practice. The following guide compares the top 3 golf schools across multiple criteria. It compares Golf Made Simple vs John Jacobs Golf School vs Butch Harmon School of Golf. Golfers per Instructor 4 5 ?